A 21-year-old San Jose man was arrested last week in a string of armed and strong-arm robberies, the San Jose Police Department said Monday. 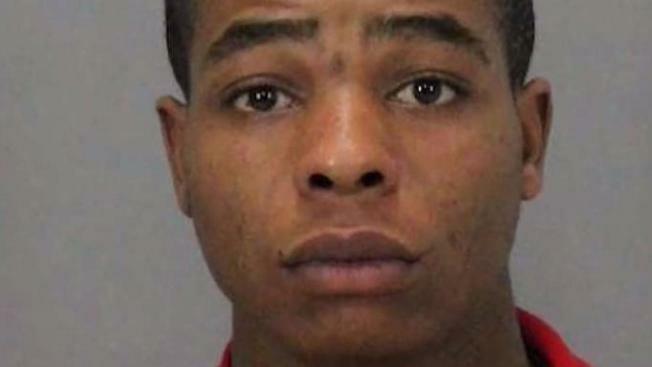 Lawrence Carter was arrested Thursday and booked into Santa Clara County Jail on three counts of robbery, two counts of elderly abuse, assault with a deadly weapon, and vandalism, police said. Carter is suspected of at least seven robberies targeting elderly East Indian and Asian females between July and September, police said. The suspect would approach the victims and grab their gold chain from around their neck, and in one of the robberies, the suspect used a gun, police said. Surveillance video shows one of the robberies in the middle of a street. The suspect is seen walking up to two older women, acting like he's asking for directions, before ripping the gold chain from an 85-year-old womwn's neck. "I was shocked," said Sam Huynh, son of the victim. "Then my mom was trying to push back and grab the chain back, but (she's) lucky she didn't get hurt." One of the items the thief dropped at the scene was a receipt. The victims gave it to police, and detectives tracked it to a store and then to Carter. "He's probably done a lot to others in the neighborhood as well," Huynh said. "We don't want him around." The investigation is ongoing, and police are asking for the public's help in identifying additional victims who may have not reported their robbery to police. Detectives believe there may be additional robberies that occurred in San Jose and other Bay Area cities. Anyone with information is asked to contact Detective Katie Reyes of the San Jose Police Department's Robbery Unit at (408) 277-4166. Persons wishing to remain anonymous may call the Crime Stoppers Tip Line at (408) 947-STOP (7867).